Two groups, pairs in each group. 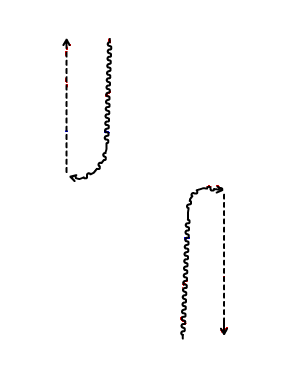 1 skates towards middle and before the line turns sharply. 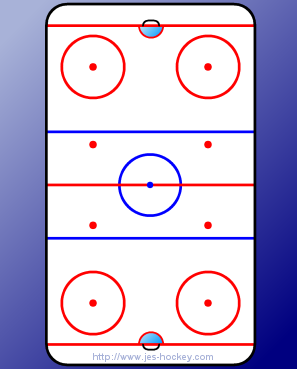 Pass to player 2.
player 1 turns towards attack and skates into attack zone. Player 2 skates up and gives a deep pass to player 1. Player 1 joins the group, 2 becomes 1.